Digital marketers everywhere are finding themselves with a new set of goals, initiatives and customer acquisition strategies aimed at delivering better results in the New Year. Leverage Data. Continue to explore opportunities to maximize and extract value from data. The data deluge is a reality for most companies and so is the need to continue to get smarter and more effective at utilizing data in real-time to make smarter decisions. Audience Targeting. It is a complex, diverse landscape, and everyone is fighting to rise above the noise to get the right message to the right audiences. It goes without saying that better audience targeting is on everyone’s radar today. Marketing Efficiency. It seems every year we are challenged with the goals of trying to achieve the more with less! Whether this is always realistic or not, the basic premise is reasonable. There is a constant need to get smarter about how, where and when to invest in media spend to achieve the best results. If you’re not figuring out how to extract more relative value from your advertising dollars, then you are falling behind your competitors. This is the reality of the market today. Fortunately for digital marketers, MediaAlpha for Advertisers can help you better capitalize on data to make smarter targeting decisions and increase the efficiency of your marketing spend. Consumers are constantly comparison shopping, typically visiting multiple sites to conduct research and gather price information before making a purchase decision. Retargeting on the MediaAlpha platform allows advertisers to get smarter about identifying consumers who have previously visited your website and use those insights to develop smarter bidding strategies. If a consumer has spent time on your site and demonstrated interest in your brand, you want to know when they are shopping elsewhere to ensure your brand and your message stay top of mind throughout the purchase process. Simply add the MediaAlpha tracking pixel to key website pages where consumers are shopping. Create retargeting campaigns with customized messaging for returning consumers. Utilize MediaAlpha Targeting and Bid Modifiers to define specific retargeting bidding strategies to stay in front of these valuable consumers. The benefits of these Retargeting campaigns are significant. Dedicated retargeting campaigns within the MediaAlpha platform typically deliver an average increase in conversion rates of 3-5x relative to prospecting campaigns. With results like this, can you afford not to retarget on the MediaAlpha Exchange? MediaAlpha’s bid optimization tools are designed to help advertisers make smarter bidding decisions. Our optimization algorithms evaluate an advertiser’s conversion data and consumer behavior across the ecosystem to provide bidding recommendations that optimize to volume and efficiency goals. Buyers that securely connect their 1st party conversion data can take advantage of optimization recommendations and automation to more efficiently achieve volume and performance goals. Advertisers that integrate their conversion data have seen 10-30% improvements in media buying efficiency on advertising spend using MediaAlpha for Advertisers. Scoring data provides buyers with additional insights to identify and price incoming consumers to enhance targeting and bidding strategies. 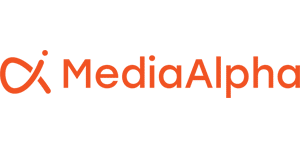 The MediaAlpha platform enables vertical search marketers to deploy proprietary data solutions or 3rd party scoring data to make real-time bidding decisions. Advertisers running click campaigns can use MediaAlpha’s proprietary Recurrence Score which measures consumer shopping behavior to predict their likelihood of conversion. Platform users can also integrate 3rd party lead scoring data to layer in additional customer intelligence and lead scoring insights. Marketers that want to improve their vertical search marketing efforts must find ways to better capitalize on and deploy data to target the right audiences and pay the right price. Utilizing any of these data-driven targeting solutions in the MediaAlpha Platform provides marketers with practical opportunities to tangibly deliver better results.